A probing, heartfelt memoir about the true meaning of family. Salz, a journalist, pays tribute to the governess who raised her and offered a blueprint of compassion within a withholding, sometimes cruel family. 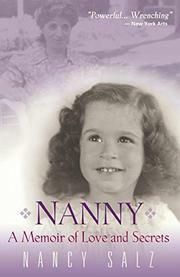 Elizabeth Cecilia Hanna, or “Miss Hanna,” began working in the Salzs’ Upper East Side townhouse in 1940, just before the author’s birth, joining the servant and cook also employed by the upper-middle-class Jewish family. An orphan with no family—and only one friend—Miss Hanna became young Salz’s only solace and companion. Though Salz’s older brother struggled with behavioral problems, her parents preferred his company; even her success in school couldn’t win the affection of her exacting, mean-spirited father. Salz’s mother, Betty, a former teen model and indisputable beauty, provided the perfect foil for middle-aged Miss Hanna’s disregard for appearances. Though Betty didn’t have much maternal instinct herself—she forced Salz to swim with Miss Hanna at a public beach instead of at the beach club because of her daughter’s large birthmark—her resentment of Salz’s devotion to her governess was apparent. “How can you love that ugly woman?” she routinely asked her daughter. This memoir is, in part it seems, an act of contrition: In her senior year of high school, Salz neglected to visit Miss Hanna while she was dying of cancer; she never got to say goodbye. It’s also an act of witness, uncovering the shadowy details of Miss Hanna’s origins and the painful family secrets in her own past. As Salz recalls her New York City childhood with Miss Hanna by her side, midcentury New York comes to life through her vivid descriptions; a chapter about her early love of Broadway musicals is particularly poignant. Though the book lacks a strong narrative arc, its greatest strengths are Salz’s self-awareness and her insight into the issues of class that often separate domestic caretakers from their charges. This moving remembrance proves the importance of kindness in a child’s life and the redemptive power of carrying on our loved ones’ legacies.